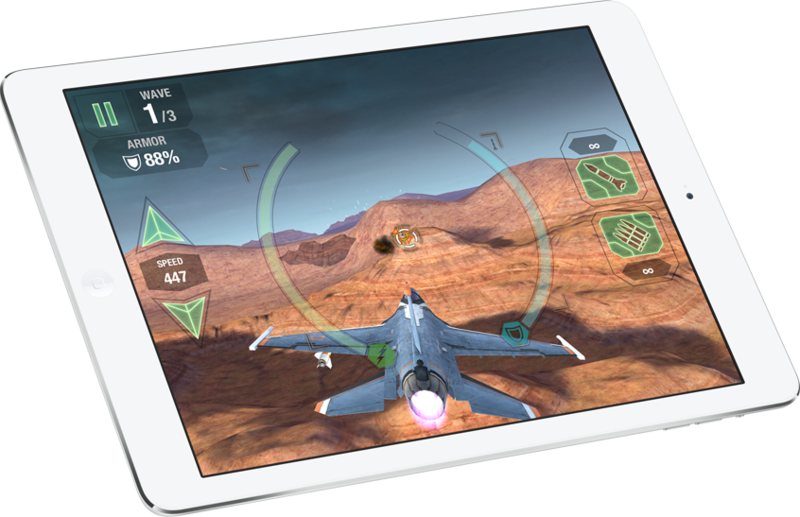 iPad Air weighs less than half a kilo, and it’s 20 per cent thinner.1 But even though it’s extremely light, it has an aluminium unibody enclosure that feels solid and durable in your hand. 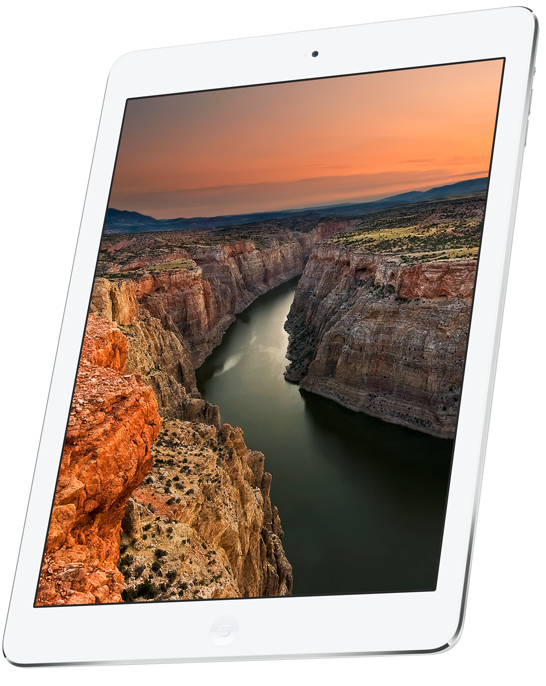 Photos and videos look incredibly detailed and text is razor sharp on the stunning Retina display. 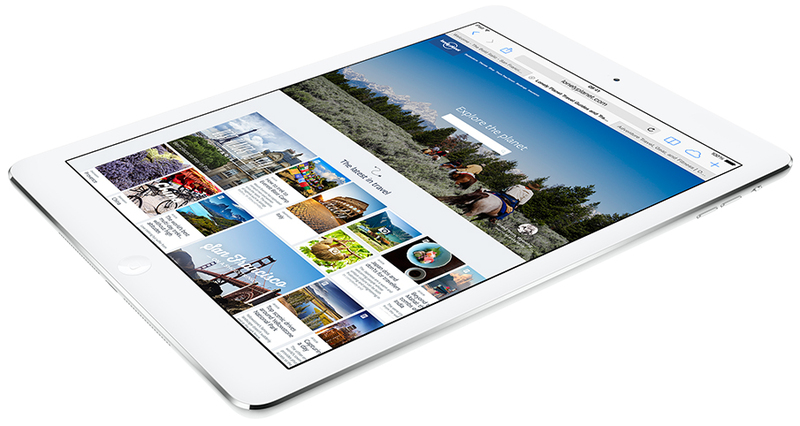 It features over 3.1 million pixels — a million more than an HDTV. 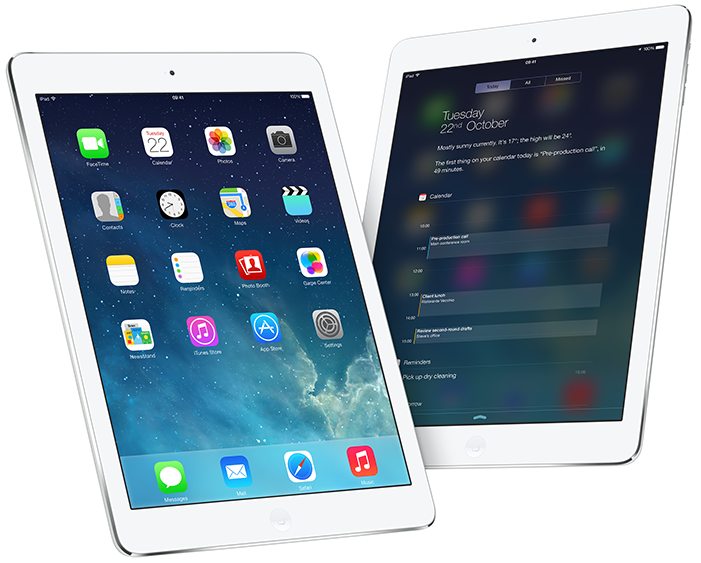 iPad mini has a stunning 7.9-inch Retina display with over 3.1 million pixels. It also comes with the A7 chip with 64-bit architecture, ultra-fast wireless, iSight and FaceTime HD cameras, powerful apps and up to 10 hours of battery life.2 Yet it still fits easily in one hand. 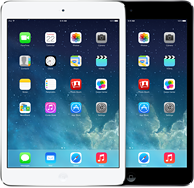 iPad mini has a beautiful 7.9-inch LED-backlit display, the A5 chip, ultra-fast wireless, iSight and FaceTime HD cameras, powerful apps and up to 10 hours of battery life.1 So it’s an iPad in every way, shape and slightly smaller form. Content is available on iTunes. Title availability is subject to change. 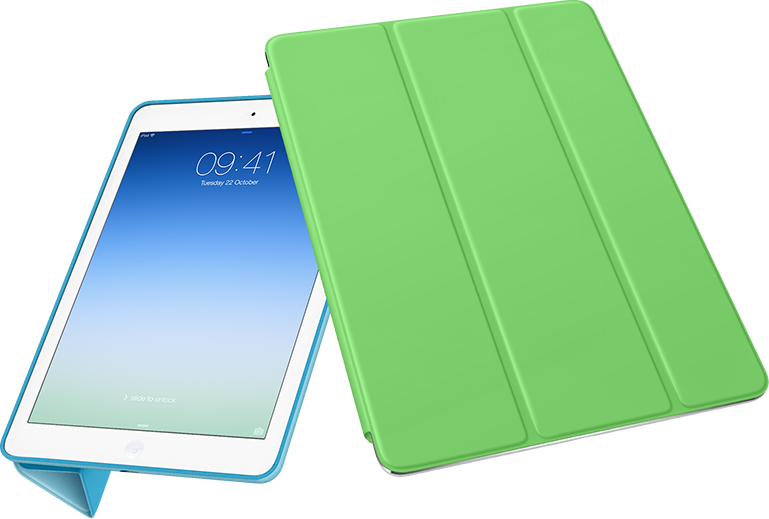 1 Compared with iPad (4th generation). 2 Battery life varies by use and configuration. See www.apple.com/uk/batteries for more information. 3 Mobile data service is available only on Wi-Fi + Cellular models. Data plan required. Check with your carrier for details. Speeds will vary based on site conditions. 4 Refers to the total number worldwide. Not all content is available in all countries. TM and © 2013 Apple Inc. All rights reserved.